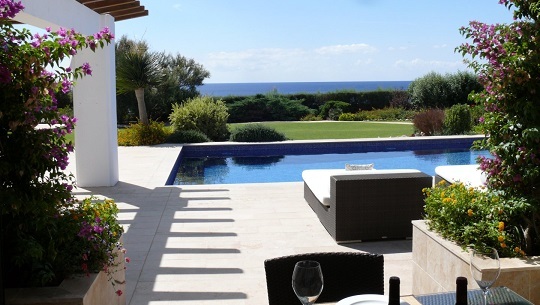 H & GC Villas & Apartments offer private, self-catering holiday villas, apartments, houses and farmhouses in the south east of Menorca within twenty minutes by car from the capital Mahon (Mao). 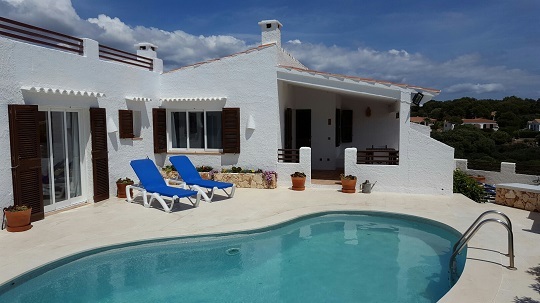 All the holiday homes are privately owned and family friendly and provide an excellent base from which to visit the rest of this charming Balearic Island. 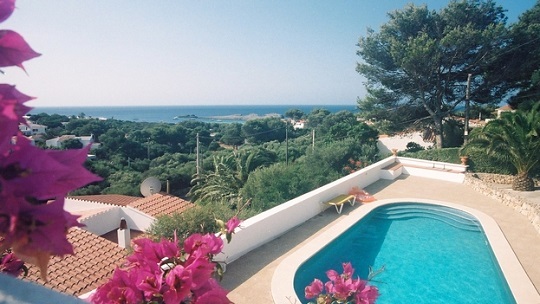 Menorca is most popular for families with children of any age in school holidays but also out of the high season it's a great place to visit so why not rent your holiday home with us! Binibeca Nou, Binbeca Torret, Binibeca Vell and Binisafua are all on the south coast and have access to several sandy beaches including Binibeca beach with the famous "Los Bucaneros" Bar which serves excellent lunches and drinks under wicker umbrellas overlooking the sea. Here we have holiday property ranging from one bed studios to five bedroomed villas to suit every requirement. 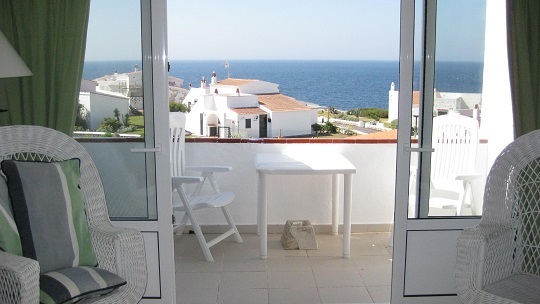 All along the south coast we have properties in Son Bou, Punta Prima, Canutells, Cap den Font, Son Ganxo and Calas Covas, pretty coves some with sandy beaches, some with swimming from the rocks, all with charm. Son Bou has the longest sandy beach on the island. We also have several private villas and apartments in the resort of Cala'n Porter, further along the coast, a lively resort with its lovely horseshoe shaped beach, which has plenty of shops, restaurants, bars and its own road train to and from the beach which is down a hill from the main resort. It also has the famous "Xuroy Caves" discotheque which is set into the cliffs over the sea. Inland, in pretty Menorcan villages such as Trebeluger and Llucmacanes, we have several houses, and farmhouses (fincas) built in the old style but modernised to provide excellent and spacious holiday homes and indeed some which are newly built, luxurious holiday villas, yet still in the Menorcan style. A perfect compromise. On the mouth of Mahon Harbour is Es Castell and Sol del Este and we have a number of villas and apartments for rent there all having lovely views of the water and close to the cove of Calas Fons which has lots of small restaurants and shops. Within ten minutes drive there is the Port of Mahon (Mao) with its spectacular boats and a multitude of restaurants and bars. Finally, on the opposite side of the harbour is the fabulous resort of Cala Llonga and the properties there have spectacular views of the port. Further north is the pretty village of Es Grau where we have a villa set in the S'Albufera Natural Park. 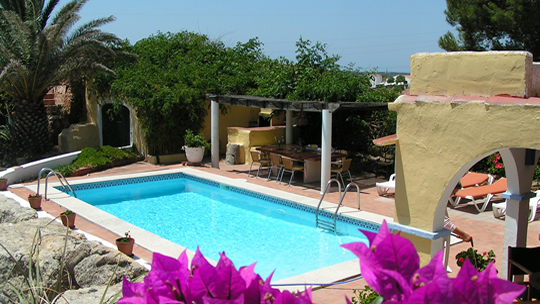 So, a complete variety of private holiday property, all owned by individuals who came to Menorca and were so impressed with its peaceful charm that they bought their dream holiday home. We are sure you will feel the same when you visit. Contact us today to arrange to rent a holiday home and we will do our best to advise you on the best holiday villa for your requirements. For certain clients, who may wish to spend less than a week or do not want the hassle of taking a villa, we recommend a lovely Bed & Breakfast Farmhouse in the San Lluis area. Relax on sun loungers round the landscaped terraces of the large Swimming Pool, play Tennis, have a Massage, Jacuzzi or Sauna, pamper yourself! And in the evenings, have drinks round the hospitality bar before taking a short car or taxi ride to Mahon or Es Castell for dinner. If you wish to prepare dinner yourselves, there is a fully fitted kitchen and barbeque for your use. As well as the individual, well furnished and decorated bedrooms, mostly with en-suite bathrooms, there are several ‘casitas’ in the grounds where you can be more private. Several beaches are within ten minutes’ drive of the Farmhouse.